LabVantage Solutions has the #1 enterprise LIMS solution. 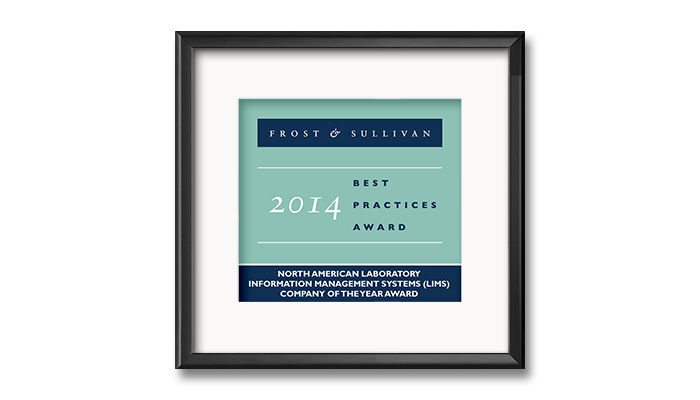 LabVantage has been awarded the prestigious 2014 North American Laboratory Information Management Systems (LIMS) Company of the Year Award by research firm, Frost & Sullivan. It’s simple. Our rich out-of-box functionality is continually enhanced based on industry best practices. We focus on functionality and ease – our solution is 100% Web based and easy to use. Powerful configuration options allow you to tailor the solution the way you want it so you can maximize the value of your LIMS over time. Want more information? Please fill out the information on the right and we’ll get back to you promptly. Thank you for your interest.